Apple has just concluded their latest iPhone keynote with a number of exciting announcements. We now have two new iPhone models (iPhone 6 and iPhone 6 Plus) and a brand new Apple Watch. With Apple Watch, Apple has finally entered the smartwatch segment. 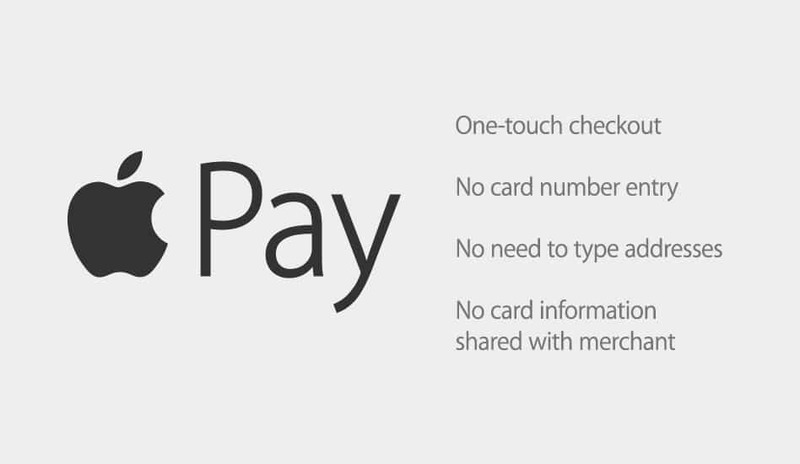 In addition to these three devices, Apple also announced a new payment method called Apple Pay. Apple Pay is Apple’s exclusive payment system which makes it possible for users to purchase items securely using their NFC supported iPhone or Apple Watch. The new payment system is integrated with Passbook, a feature Apple introduced back in 2012 along with iOS 6. Passbook helps you keep all your gift coupons, travel and movie tickets, etc. organised on your iPhone. Now you can also store your debit and credit cards in your Passbook , and make payments just by holding the iPhone near the payment processing device while placing your finger on the Home button (Touch ID authentication). The traditional plastic debit or credit cards that we usually use to make payments are not only difficult to carry around, but they are also a significant threat to your privacy. When you hand over your debit / credit card to a merchant for making a payment, your card number and your name are visible to the cashier. With Apple Pay, you need not worry about such an issue at all. For every debit or credit card added to Passbook, a unique Device Account Number is generated, encrypted and securely stored in a dedicated hardware chip known as the Secure Element. While making a purchase, the Device Account Number and a transaction-specific dynamic security code is used to process the payment. Your personal information and actual card details are never displayed to the merchant or included in the transaction details. Apple Pay thus enables faster payments, while maintaining your security and privacy. And if you lose your iPhone, you can use Find my iPhone to remotely block payments on all your stored cards, so you don’t have to cancel your actual debit / credit cards. Apple Pay uses NFC technology built into the new iPhone 6 and iPhone 6 Plus, to authenticate payments. But as we know, none of the previous iPhone models have implemented NFC technology. So, if you already have an iPhone 5, 5C or 5S, you might be thinking that using Apple Pay is not in the books for you. Fortunately though, there is still a way to use Apple Pay with the iPhone 5, 5C or 5S, even though they don’t have an NFC chip. And the solution lies with Apple Watch. Apple Watch is compatible with all iPhone models since the iPhone 5 (iPhone 5, 5C, 5S, 6 and 6 Plus). Additionally, Apple Watch also comes with the dedicated Secure Element chip and NFC, which are the two key components used for processing Apple Pay payments. So, if you want to use Apple Pay, instead of getting a new iPhone with NFC, you can buy a new Apple Watch for almost half the price and use it with your current iPhone 5, 5C or 5S. For making payments using Apple Watch with Apple Pay, just double click the button below the Digital Crown and hold the Watch face near the payment processing device. A pulse (vibration) and beep confirm that the transaction has been processed. The Apple Watch acts as a complementary device to your iPhone, especially to your old ones. Firstly, the Apple Watch can display notifications from your iPhone, make and receive calls, reply to incoming text messages and much more. Secondly, iPhone 5, 5C and 5S will all get the iOS 8 update, once it is released. With that, you’ll be able to take full advantage of its Health app, as Apple Watch gathers all your fitness data. Last but not the least; Apple Watch will enable NFC based features like Apple Pay, for iPhones that don’t support NFC. And with the newly announced WatchKit API, there may be numerous other possible applications of the Apple Watch. The Apple Watch hence extends the power of your existing iPhone to a whole new level, far beyond the Apple Pay implementation. If you don’t want to buy an Apple Watch just to use Apple Pay, there is an Apple Pay alternative that works even without NFC. LoopPay Card is an electronic device that is capable of storing all your credit and debit cards, along with gift, loyalty and private label cards. Once the card information is stored, you can use the device to make payments wirelessly at most retail stores having an in-store payment terminal. The iOS and Android apps allows you to view and manage all your stored cards, or select a particular card for making a payment. LoopPay’s patented Magnetic Secure Transmission (MST) technology turns usual in-store payment terminals (where you normally swipe credit/debit cards) into contactless readers. Select the card to use for payment and hold the LoopPay device against the card reader and wait for your payment to be processed. Basically, the device emits the same magnetic signals as the ones that are emitted when a card is swiped. The payment terminal is able to pick up the signals wirelessly and interprets them as normal card swipes. The LoopPay CardCase is a sleek iPhone case that includes a convenient storage compartment for holding the LoopPay Card device. This allows you to make payments wirelessly with your smartphone, quite similar to Apple Pay payments via NFC on iPhone 6 and 6 Plus. Although, LoopPay has a good advantage over Apple Pay here: Apple Pay only works with select merchants and at select retail stores; on the other hand, merchants don’t require any special equipment to accept payments from LoopPay enabled devices, so it nearly works everywhere. You can purchase the LoopPay Products from the company’s official store, while the smartphone apps can be downloaded from the App Store and Google Play Store for iOS and Android devices respectively.